Start your Aussie adventure in the Western Australian capital Perth, before flying all the way to the East Coast at Sydney. 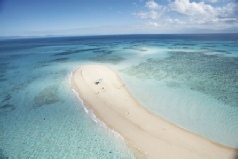 Then head north to Cairns for a chance to experience Queensland’s laid-back lifestyle and the Great Barrier Reef. 2019 package holidays to Perth, Sydney and Cairns Prices are per person based on two sharing, including flights and accommodation, and are subject to availability. Flights from Heathrow - other departure airports also available, call for details. Holiday ref T0917W. 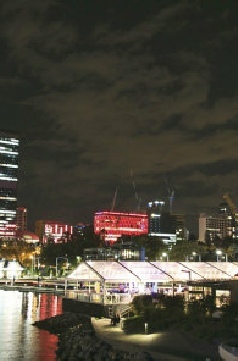 Fly from London to Perth, arriving the next day. On arrival make your way from the airport to your chosen hotel, for a three night stay - we have a range of hotels to choose from, and your length of stay in Perth is flexible. Spend your time in Perth getting to know this very livable city, with the Kings Park & Botanical Gardens being at its heart - a great place to start. Make your way back to Perth airport for your flight to Sydney. On arrival, make your way to your chosen hotel for a four night stay - as with all of our destinations we have a range of hotel options available. Spend the next few days exploring Sydney, and if time allows head out of town to the Hunter Valley, one of Australia's best-known wine producing area and a great location to sample a semillon, shiraz or chardonnay. The area is also well known for other items such as craft beer, chocolate and cheese - heaven! Make your way back to Sydney airport for your flight to Cairns. On arrival, make your way to your chosen hotel for a five night stay. Enjoy the last stop of your Australia holiday in Cairns, with a few days to take in the Reef and Rainforest that make this location a ‘must do’ on any Australia itinerary. The Skyrail Rainforest Cableway is a great way to see the rainforest from above and below, with the gondola cableway taking you to the pretty village of Kuranda in the Tablelands. Take the scenic railway back to Cairns for a fabulous day out! Make your way to Cairns airport for your return flight to the UK, arriving the next day.